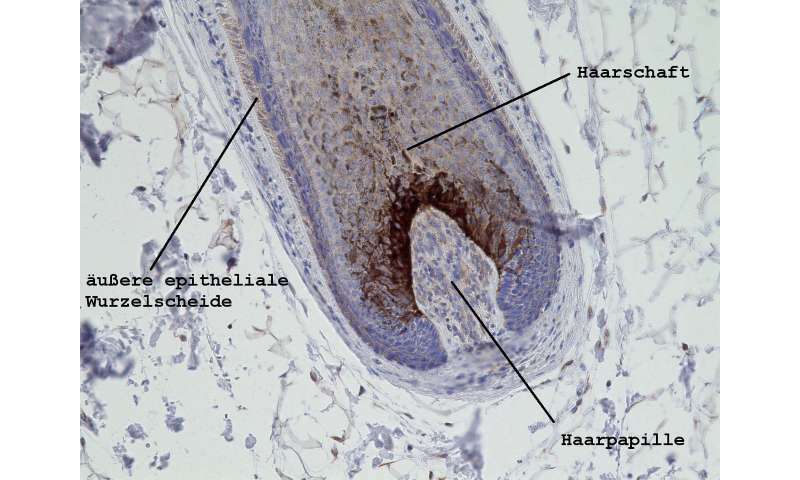 Hypotrichosis simplex leads to progressive hair loss as early as childhood. A team of researchers led by human geneticists at the University Hospital of Bonn has now found a gene that is responsible for this rare form of hair loss. Changes in the LSS gene lead to impairment of an important enzyme that has a crucial function in cholesterol metabolism. The scientists have presented their findings in the renowned journal the American Journal of Human Genetics. The condition is limited to a few hundred families worldwide. In infancy, fine hair tends to sprout sparsely. With increasing age, hair loss progresses. Ultimately, only a few hairs are left on the head and body. Hypotrichosis simplex is a rare form of hair loss (alopecia). So far, only a few genes are known that are causally related to the disease. Under the leadership of the Institute of Human Genetics at the University Hospital of Bonn, a team of researchers from Germany and Switzerland has now deciphered mutations in another gene that are responsible for hair loss. The scientists examined the coding genes of three families that are not related to each other and are of different ancestry. A total of eight relatives showed the typical symptoms of hair loss. All those affected had mutations in the LSS gene. "This gene encodes lanosterol synthase—LSS for short," said Prof. Dr. Regina C. Betz from the Institute of Human Genetics at the University Hospital of Bonn. "The enzyme plays a key role in cholesterol metabolism." However, the cholesterol blood values of those affected are not changed. Betz says, "There is an alternative metabolic pathway for cholesterol, which plays an important role in the hair follicle and is not related to blood cholesterol levels."